LONDON : Britain’s health service is engulfed in a “humanitarian crisis” that requires the support of the Red Cross to use Land Rovers to transport patients, the charity said on Saturday. Founded in 1948, the National Health Service (NHS) is a source of huge pride for many Britons who are able to access care for free from the cradle to the grave. But tight budgets, an aging population and increasingly complex medical needs have combined in recent years to leave many hospitals struggling during the winter season, sparking headlines about patients being left to wait on trolleys for hours or even days. “This means deploying our team of emergency volunteers and even calling on our partner Land Rover to lend vehicles to transport patients and get the system moving,” said Mike Adamson, chief executive of the British Red Cross. In recent years charities and opposition politicians have warned that government cuts to social care have resulted in more elderly and vulnerable patients being treated in hospital rather than at home, putting a huge burden on the service. The Red Cross said it was working alongside the health service to support people in their homes to free up beds. “We’ve seen people sent home without clothes, some suffer falls and are not found for days, while others are not washed because there is no carer there to help them,” Adamson said. 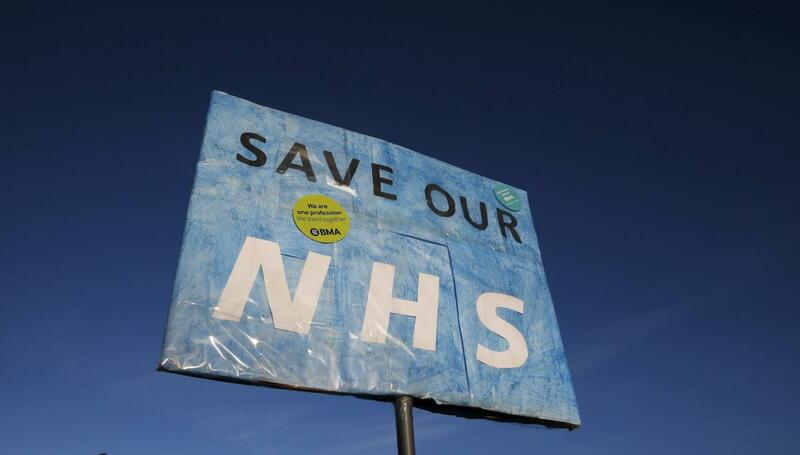 A spokeswoman for NHS England said plans were in place to cope with increased pressure during the winter and that beds were not as full as this time last year.